“War cannot create anything but misery, weapons bring nothing but death,” the pope said on Monday, addressing an inter-religious meeting attended by hundreds of representatives from different faiths. Al-Jazeera reported. The gathering included imams, muftis, ministers, rabbis, swamis, Zoroastrians and Sikhs, Al-Jazeera added. 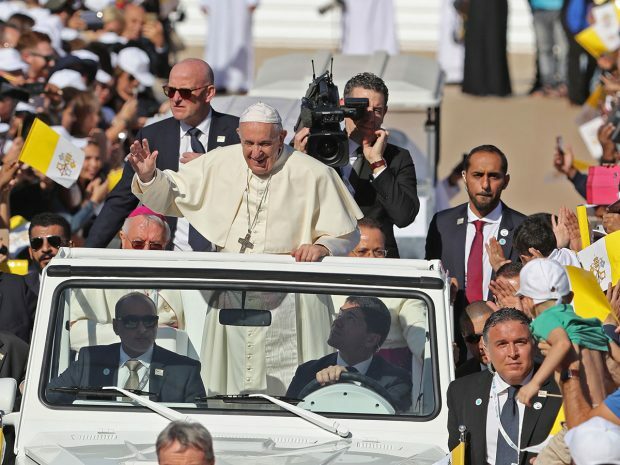 Francis, who has made outreach to Muslim communities a cornerstone of his papacy, is on an historic three-day visit to the United Arab Emirates, according to Al-Jazeera.